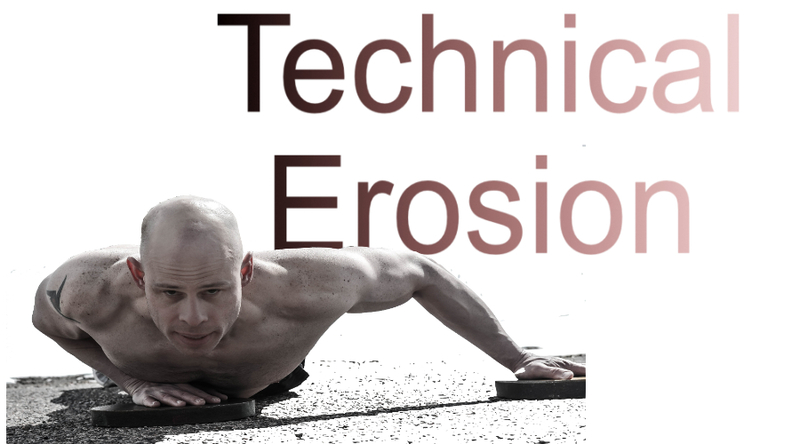 Technical erosion is the process when the quality of your technique breaks down as you train. It could be a shift in body position, a decrease in range of motion or even how you apply tension in your muscles. In either case, the quality of your technique is slowly eroding like a sandcastle in the surf. The effects of technical erosion can hold you back or push you forward depending on how you use them. In some cases, this is unavoidable and not that much of a problem. In other situations, it can be very bad resulting in chronic injury, endless plateaus and burn out. The key is to understand when it’s happening and what’s causing it so you can use it as a tool for progress. The difference between acute and chronic technical erosion. How acute technical erosion can steer you toward the results you want. Why chronic technical erosion is is dangerous and why it’s so tempting to adopt it. Why adding weight and reps alone can leave you for problems later on. The best way to prioritize your training so it’s as safe and effective as possible. Check it out here or download it on Apple podcasts or Stitcher radio.